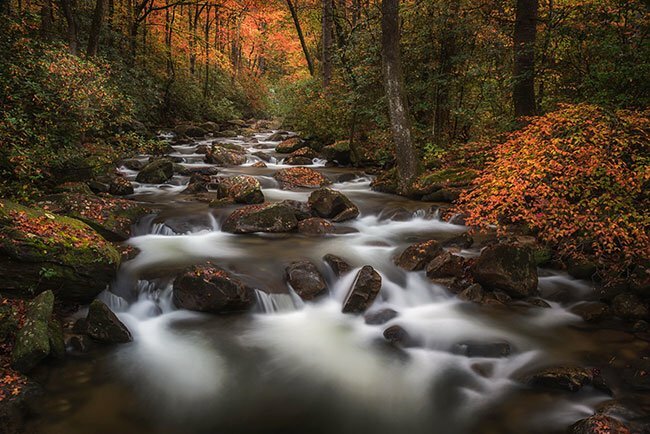 Jones Gap State Park is located about 30 miles north of Greenville – just a stone’s throw from Symmes Chapel (Pretty Place) and Caesar’s Head State Park. 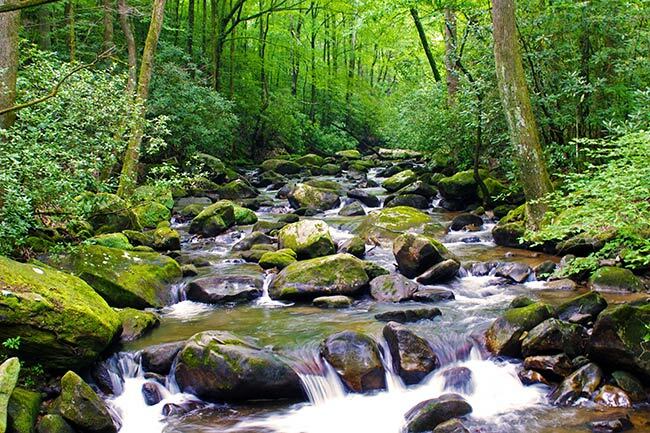 It is one of South Carolina’s finest spots to enjoy picnics, hiking, camping, and fishing. The park also features an environmental learning center with exhibits and a lab where students can study nature. 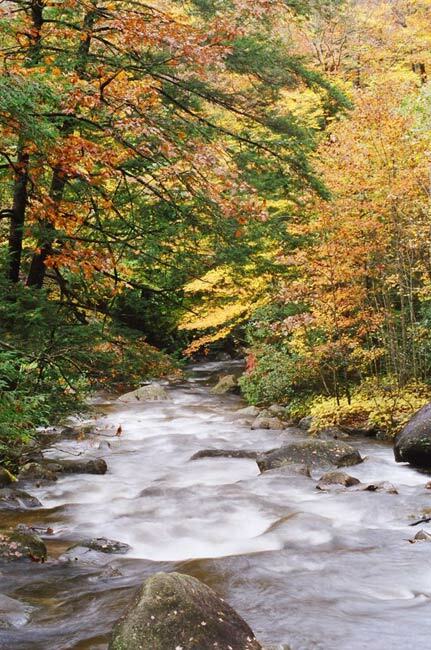 Jones Gap State Park is part of the Mountain Bridge Wilderness Area, which consists of 11,000 acres of natural woodlands and mountains along the Blue Ridge Escarpment (PDF). The Jones Gap Trail is 5.3 miles long and follows the old Solomon Jones toll road, operated between 1840 and 1910. You will find campsites off this trail which are set along the water and have fire pits. 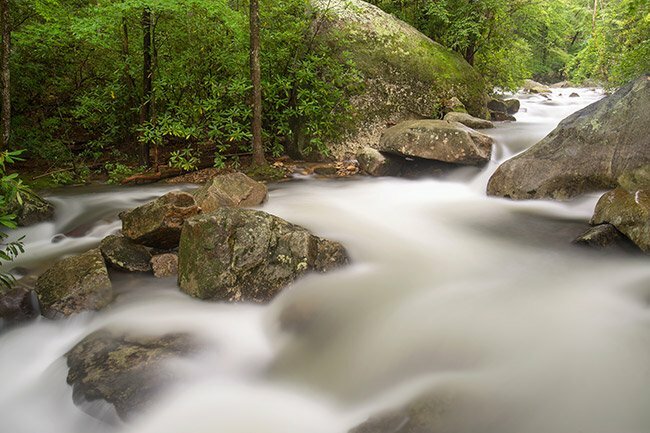 Jones Gap State Park is home to the Middle Saluda River, which winds its way through the park. 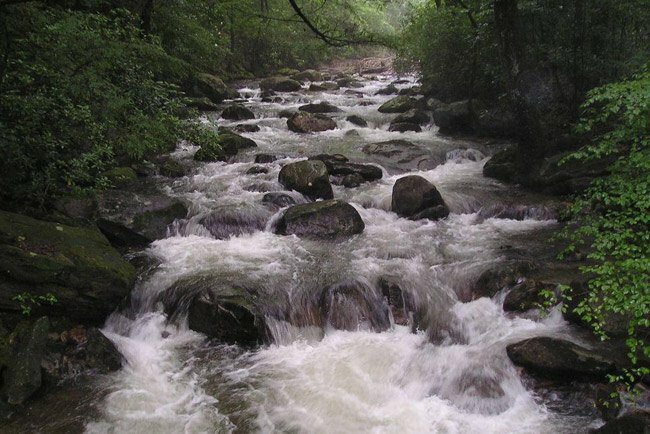 The Middle Saluda was the first river protected under the SC Scenic Rivers Program. 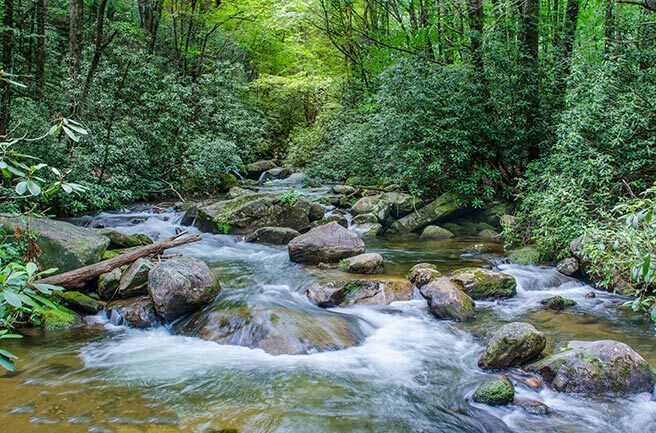 Dropping almost 1,000 feet in four miles, the river has many cascading falls and is especially popular with fishermen because its cold, clear water supports a large trout population. 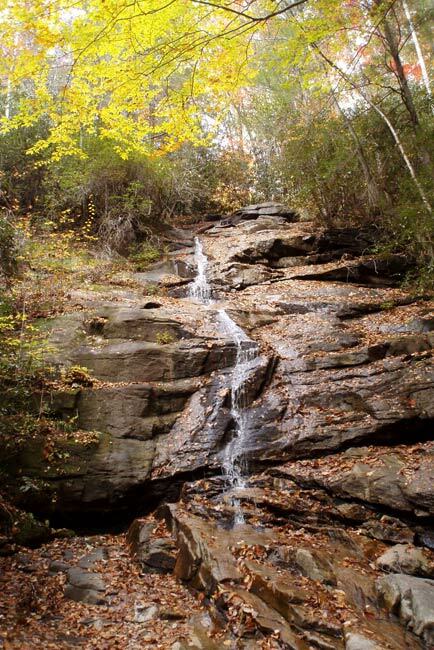 Jones Gap State Park features a variety of trails, and one of the best leads to Jones Gap Falls – a 50-foot cascade over a staircase of stones. 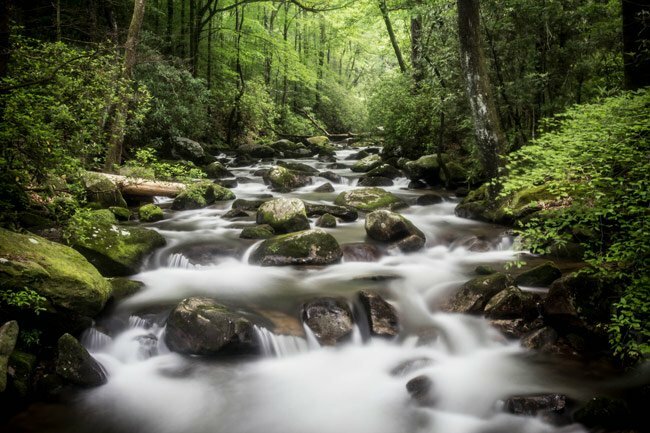 The trail follows the Middle Saluda River, making for a beautiful hike along the way. 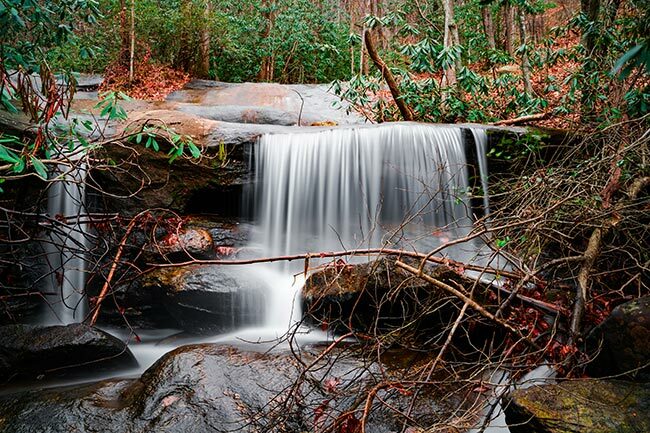 Like most waterfalls in South Carolina, the falls are at their best right after a good rainstorm. 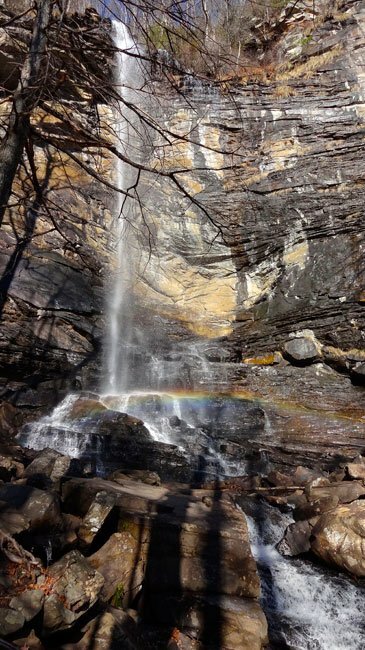 Another trail leads to Rainbow Falls, shown below. 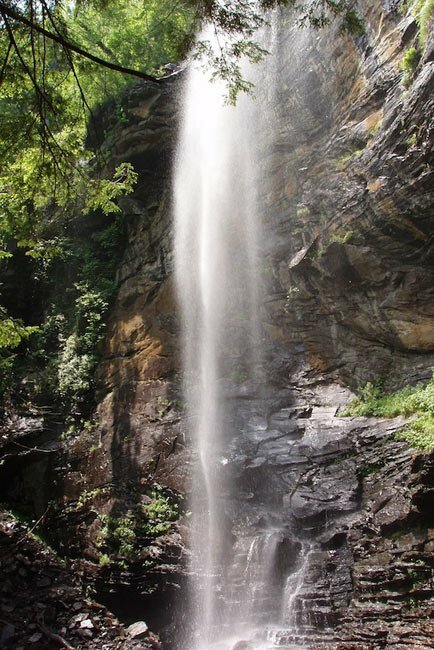 The waterfall is 100 feet high and spills over a beautiful granite wall. 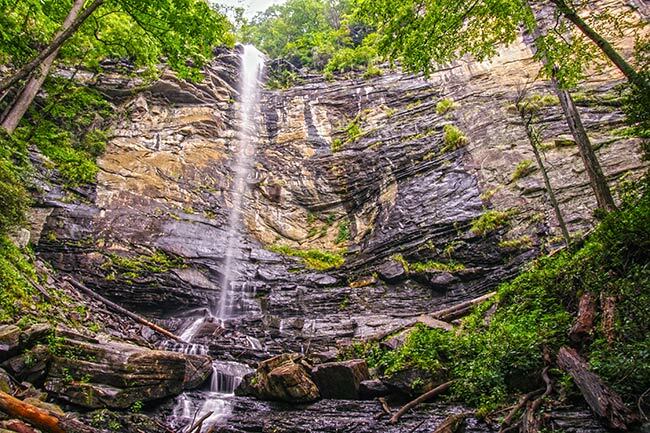 Although Rainbow Falls lies within Jones Gap State Park, it is owned by Camp Greenville, and you need to ask permission to visit before you go if you enter the area through the camp access. However, access to the falls through the park is permitted and simply requires a park fee. 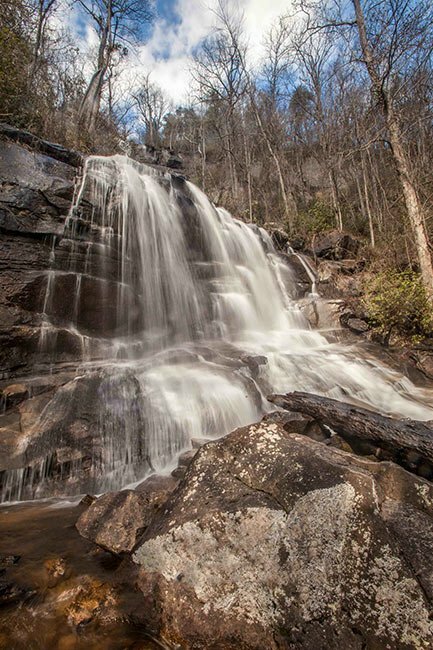 The image below shows the beautiful Falls Creek Falls – not to be confused with Fall Creek Falls in Oconee County – a 100-foot waterfall which cascades over two major levels. Reaching the falls is a moderate, 1.9-mile hike up an old logging road. The majority of the hike is uphill mixed with a few flat stretches. A great picnic area exists above the falls which is accessible by trail beyond the waterfall basin. The trail is open year round. UPDATE: An alert reader informed us that the water surrounding this slide has dried up, allowing grass to grow around the structure. But what fun it must have been in its day! Thanks so much for the update! We have it corrected. We bet that was extremely hot in the blazing sun. That sliding board is in a lake that belongs to a relative of mine. It’s been there 60 years, at least. 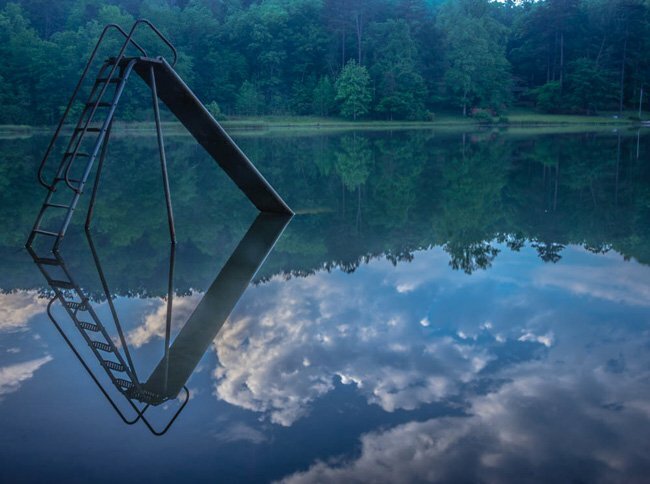 I slid down it many times, but the thing was made of steel and could leave a blister on you in the summertime. I remember taking a pail of water up there to cool it off if no one had gone down it in a while. 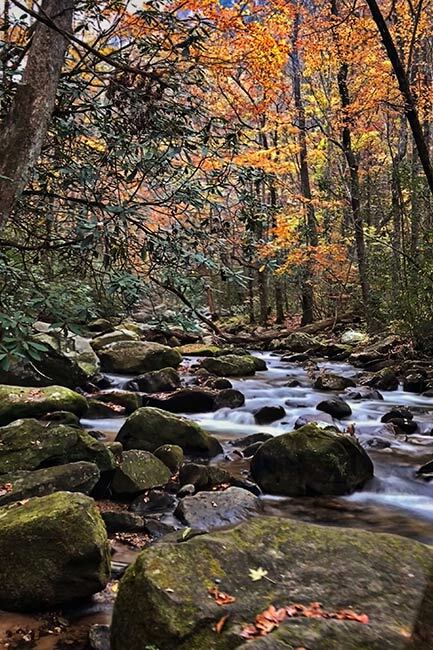 It’s actually at the junction of Gap Creek and Devils Fork Roads, a little farther from the park than the caption states — about four miles. I live on Saluda River and have for 28 years. In the Honea Path area. Everytime I stand on its banks, I am blown away by God’s creation. A sense of calm. And peace. Hi, Jaime! What a fun day you are planning! 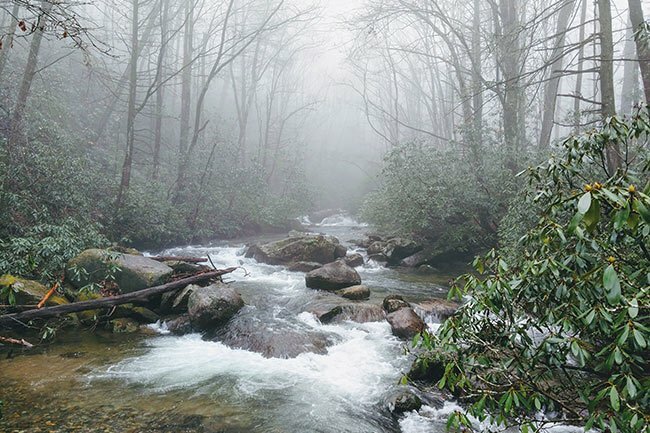 I recommend checking with the state park website above the map on this page; hopefully, more information can be found there from the state. Best of luck, and we hope you and your family have a wonderful reunion! Hello, I am looking for a vacation spot for a large group for the day. An area to picnic, hike, and fish. This is going to be for a day. It is for our Family Reunion. Can you send information about your beautiful park. Thank you. I was with a group of students from Seneca Middle School on March 26, 2012. We were at Jones Gap State Park. We were hiking and we saw a plant called “bear-something”. Would love to find out what it is really called, I’d love a picture of this plant. I personally had a wonderful time with this group, and am planning to bring a small group of children from church to spend the day hiking and picnicking.